AIE delivers a range of services which are market-leading, international code compliant and offer a complete life cycle solution for our clients from concept selection, life extension assessment through to decommissioning whether for onshore or offshore assets. 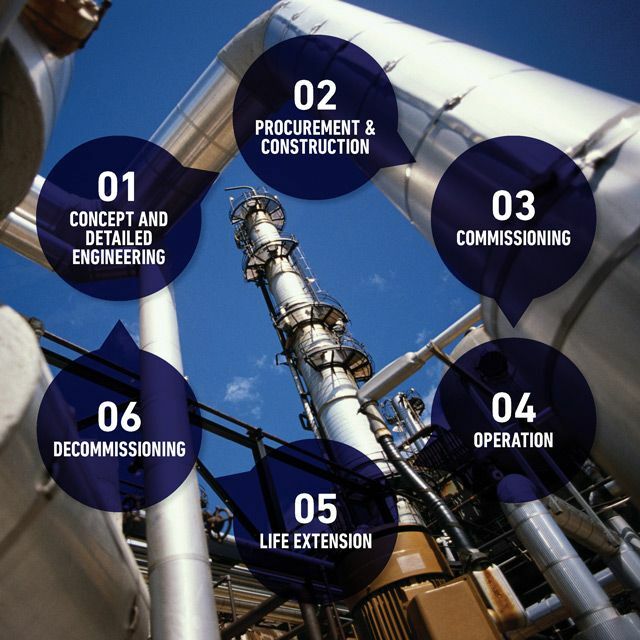 Our services typically employed within the Oil and Gas industry can be effectively implemented at any stage of an asset’s life cycle and have been proven to drive down inspection, maintenance and repair costs whilst improving reliability and safety. From providing independent design verification services to delivering a fully integrated integrity management and inspection service with permanent site based personnel, AIE can deliver a unique service tailored to our clients’ ever-changing needs. Risk Analysis: HAZID, HAZOP etc.